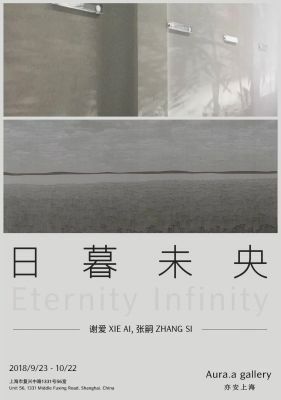 Aura.a gallery is about to launch a new exhibition, "Eternity Infinity: Xie Ai＆Zhang Si", which will showcase the siginificant works of the two artists in recent years. Among them, Xie Ai establishes the microscopic and the macroscopic perception path in the various images of plants; Zhang Si backtracks and the contrasts the Chinese traditional painting through grabing the daily life slice. Both Xie Ai and Zhang Si have been trained for traditional Chinese painting, and their current creation is also related to this experience. Xie Ai repeatedly confirms the vital signs of Chinese painting in the schemata of the family of plants, communicates inside and outside through the new turn of object form and thrives. In his works, Zhang Si tries to bridge the gap between the contemporary individual experience and the ancient tradition. He used to empirically demonstrate some of the painting theory in "Lin Quan Gao Zhi" on the wall of the office, recorded and re-presented it. The enchanting vision of "I wish the lights would be red again" exists only in the famous Ming dynasty script, and contemporary artists are working harder to test the validity of tradition. In order to to come up with another solution from the traditional experience before the darkness of the twilight to deal with the complex features of China today, the heat of the sunlight is not over.